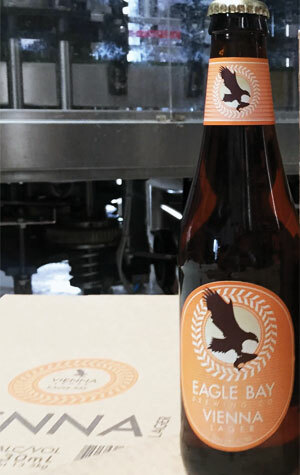 Inspired by the lager style first brewed in Vienna in the 19th century, Eagle Bay's Vienna Lager isn't as dark as you might expect – more golden than amber – but retains the richer malt character expected of the style. The biscuit and toffee malt sweetness is balanced by the hops in what's another sessionable beer from the brewery. As of early 2015, it is also available in bottles, meaning the brewery's entire core range of six beers is now packaged.